In a week jammed full of everything from senior celebrations to multiple overtimes, the Frenship girls basketball team completed their exciting week of play with two more victories and the District 2-6A championship, the program’s first outright title since 2004. 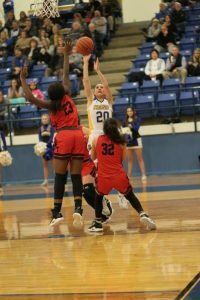 FHS solidified the district championship Friday night with balanced scoring and tenacious defense that led to a 45-35 victory at Odessa Permian. The win combined with a loss by Tascosa assured the 2019 trophy would make its home in Wolfforth. 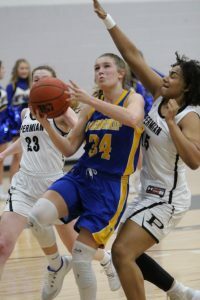 Airron Gaydon led the balanced scoring with eight points while Ashlyn Caddell, Maci Maddox and Abre Godfrey each scored seven. In Tuesday’s home finale at the Tiger Pit, FHS battled against a tough Tascosa squad through regulation and eventually four overtimes before ending the night with an 83-79 victory. 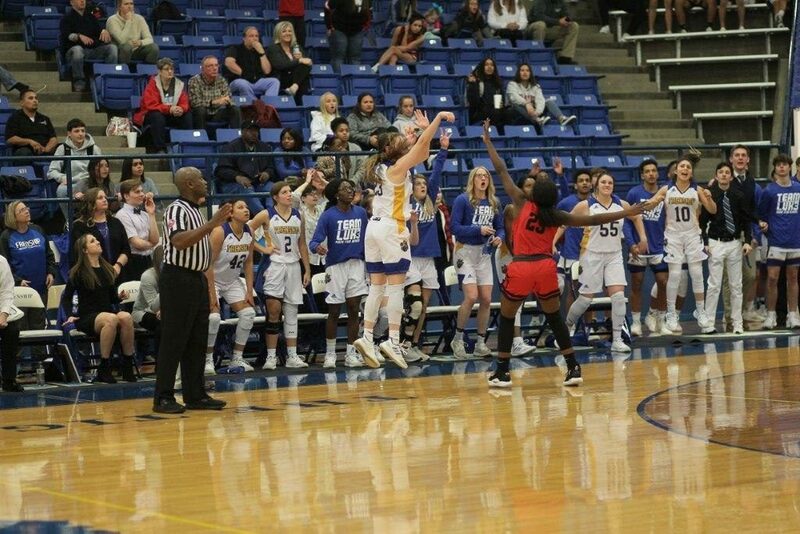 Senior Ashton Beeles scored a team-high 17 points while fellow senior Avery Dear added 11. The win on the Tiger Pit floor concluded an undefeated home schedule for the team this season. After the game, the program celebrated the 2019 seniors – Alyssa Mesquias, Diamond Washington, Ashton Beeles Cassandra Awatt, Avery Dear, Rylee Jordan, Addison Wilson, Abre Godfrey and Corinne Whitaker. The Tigers finish the regular season Tuesday night at Midland Lee. The game tips at 6:00 p.m.